This is a sponsored conversation written by me on behalf of Johnsonville. The opinions and text are all mine. Comments submitted may be displayed on other websites owned by the sponsoring brand. Brunch is one of my favorite meals to eat. It has all my favorite foods and it's the one meal where sweet and savory almost always come together. With the holidays here, many of us are hosting friends and family and brunch is a great time for everyone to sit together. 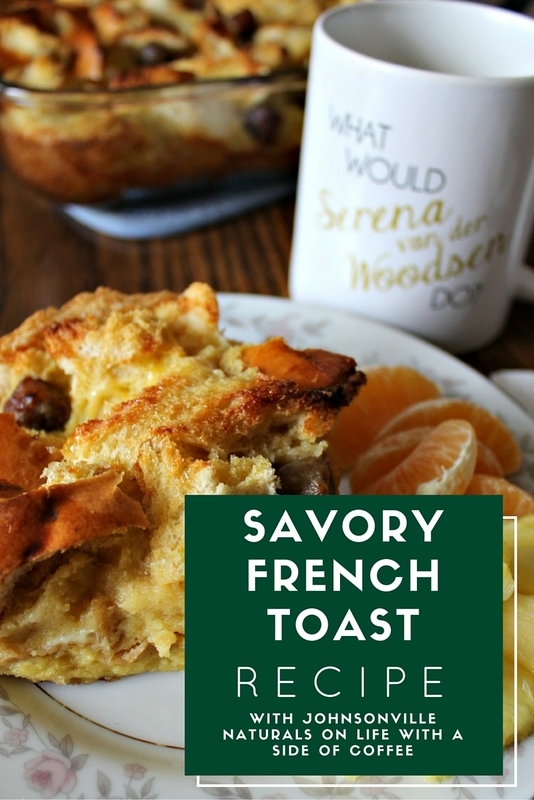 When I'm cooking brunch for a group, I prefer make ahead meals like this French Toast Casserole recipe. I've made several of these and so far, this one is honestly my favorite. Instead of going all sweet, I included Johnsonville Naturals Maple Breakfast Sausage. The flavors worked and everyone loved it. 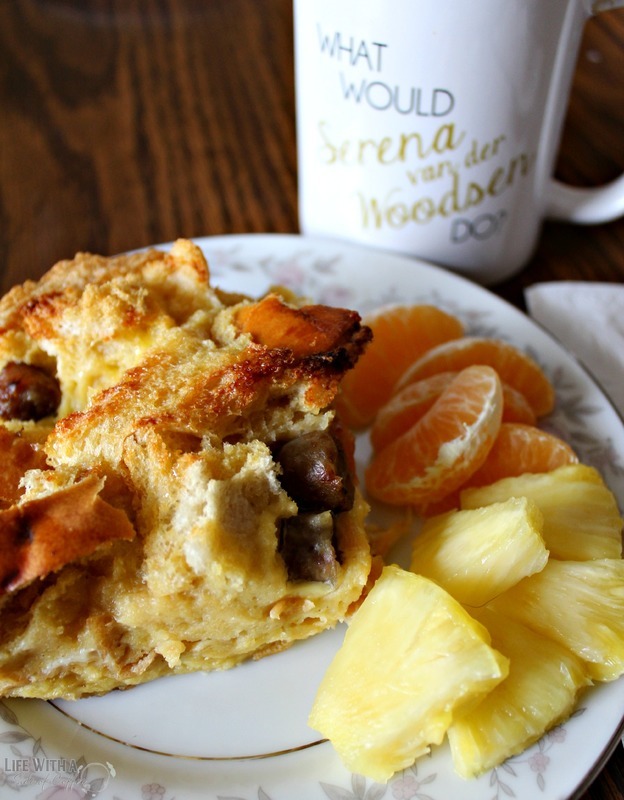 It's really simple to make and all you have to do come morning is pop it in the oven. 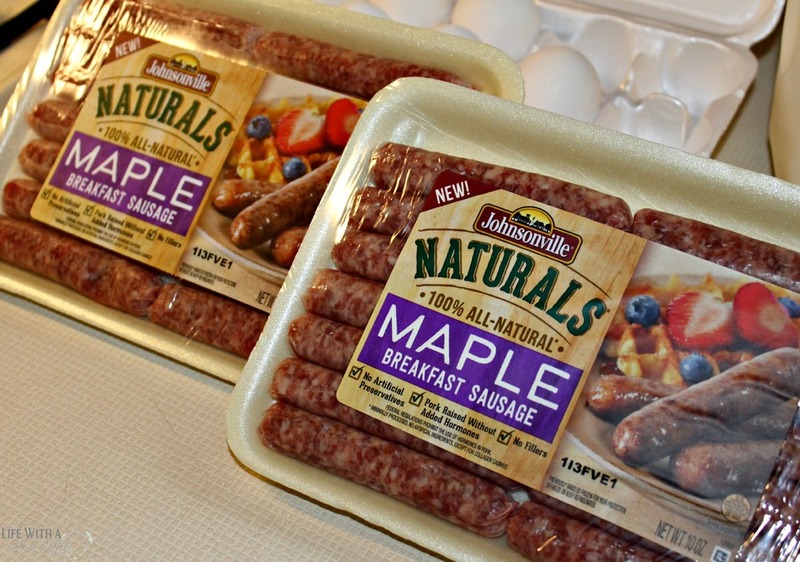 Johnsonville Naturals provide a clean and simple label, and are made with familiar ingredients. They do not contain artificial ingredients, flavors, colors or preservatives. The line focuses on high quality, natural ingredients, such as premium cuts of meat and flavorful spices to deliver great taste people expect from America's leading sausage brand. I love this because in the last year, I've gotten really picky with buying meat. I don't want to feed my family a bunch of fillers so Johnsonville is a great solution for both special occasions and everyday cooking. It's a brand I've trusted for a long time and continue to do so today. 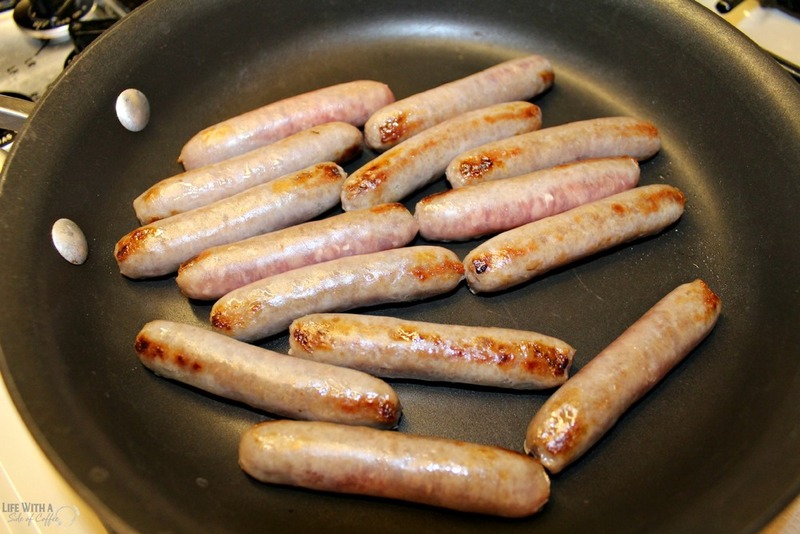 Along with the Maple Breakfast Sausage, they have Original Breakfast Sausage, Mild Italian Sausage and Original Brats. We just used the Mild Italian Sausage last night on top of pizza bread and it was amazing. I'll definitely be picking some up again next time I'm in the store. 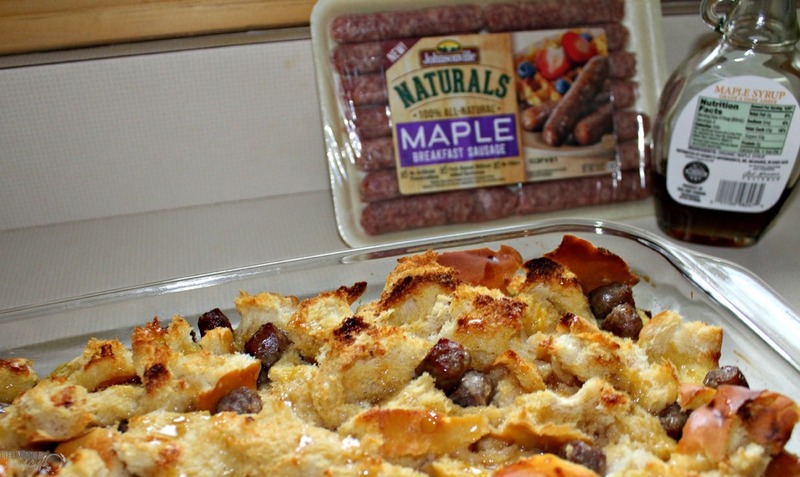 Here is the recipe for Maple Sausage French Toast Casserole. Let me know your thoughts in the comments below! 1. Heat a medium sized skillet over medium-high heat and cook sausage links. Set aside and once cooled, cut into about 1-inch chunks. 2. Grease a 9x13 inch baking dish with butter. Rip the bread into large chunks and place in the dish. Sprinkle in the sausage chunks and lightly toss with your hands to evenly spread them throughout the bread. 3. In a large bowl, mix together eggs, milk, brown sugar, vanilla and maple syrup. Pour evenly over the bread, cover tight with plastic wrap and refrigerate overnight. 4. Preheat the oven to 350 degrees. Take the casserole out of the fridge and allow it to come to room temperature. Bake covered with tin foil for 15 minutes, take foil off and continue cooking for another 25-35 minutes (depending on your oven) until the casserole is solid (there's no runny egg) and browned on top. 5. 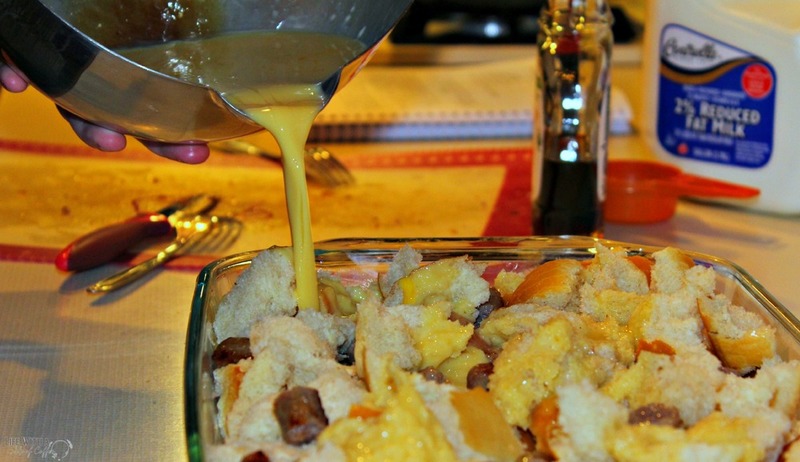 Take the casserole out of the oven and drizzle with remaining maple syrup. Serve!